Taking on a full- or part-time employee is a costly proposition, especially for a solo or small firm practitioner. As an attorney, your priority is moneymaking case work, and your employees are charged with admin, office management, reception and appointment setting. 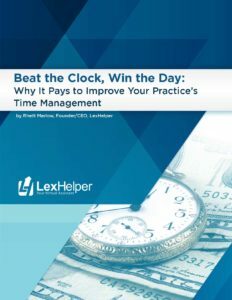 And while LexHelper can appreciate the many benefits of on-site personnel, there are numerous reasons why an employee is not ideal for keeping your calendar filled with appointments. 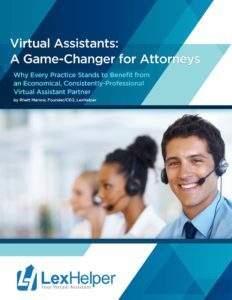 For a detailed look at the alternative, check out our white paper “Virtual Assistants: A Game-Changer for Attorneys.” This blog post is a supplement that briefly touches on why an in-office employee may not be the highest-value or most economical solution for your practice. Dave’s Top 10 was humorous; this list won’t make you laugh. They’re late. Like, right now. Your employee stuck in traffic, they overslept or they’re picking up a Frappuccino at Starbucks. Meanwhile, your first two calls of the morning have gone to voicemail. They’re sick. Hey, it happens. It’s probably best if they keep the bug away from the office. But the tradeoff for you staying healthy is that your calendar looks a little worse for wear. They’re on vacation. Hopefully your employee will come back reenergized, but for the rest of the week, you have fewer hands on deck to answer calls and set appointments. They’re on jury duty. Ah, yes. You know this one well. 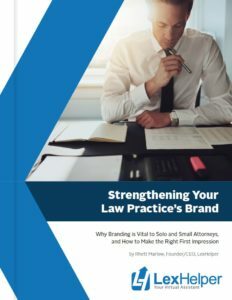 It’s an important function of the citizenry, but while they get the call-up, your case prospects would like to charge your practice with phone negligence. They’re distracted. Your 9:30 just arrived early. Your employee checks them in, gets them settled, and offers (and makes) them a cup of coffee. That’s a 15-minute process that really adds up. They’re unmotivated. They’re not happy with their job or life for any number of reasons, and you’re not getting the effort and productivity you need from the role. Is your employee’s face always in front of their cell phone? They’re wearing too many hats. Maybe your employee is supremely motivated, but is bogged down with too much office management to be as responsive as you need for inquiries and follow-ups. They’re simply not right for the job. You need an articulate, organized and courteous professional to answer your phone, make your outbound calls, schedule appointments and manage intake forms. Not everyone is uniquely suited for this role in your practice. But you need to identify the right fit, and that’s not always an in-office position. They’re not LexHelper. You handle case work, we handle your calendar. 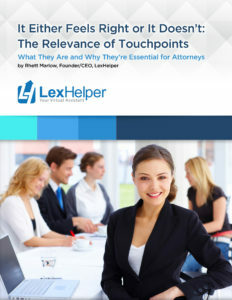 While an employee’s presence or productivity may be affected for countless reasons, LexHelper helps attorneys maximize their admin budget with a trained team of Virtual Assistant specialists. We’re there when you need us so you can focus on your core business. Learn more about what a Virtual Assistant partner can do for your practice in our latest white paper, and contact us today to start your free two-week trial!